Pillar Properties is an award winning developer of multifamily housing and senior housing. The company is committed to quality, with a long term vision borne from the company’s beginnings in the timber industry. With a focus on innovation and long term value creation, the company is a recognized leader in the Pacific Northwest. Seattle based Pillar Properties develops, owns and manages luxury apartment residences that express the unique personality and vitality of signature neighborhoods in the Puget Sound area. The company currently has 1,600 units in operation. Pillar Properties focus is on customer service with the goal of delivering a Quietly Awesome experience at every level of engagement. Our apartments offer high quality finishes and stunning designs in desirable urban settings.  Pillar Properties develops properties with a long term perspective and everything we do maps back to our core values. We are motivated by the desire to leave a physical legacy of enduring value to Seattle's vibrant neighborhoods. We strive to build structures worthy of neighbors' respect and admiration. Our iconic structures also hold magnetic appeal for potential residents. Pillar Properties is responsible for all development activity for sister company Merrill Gardens. From site acquisition to design and construction, Pillar Properties has delivered 20 independent and assisted living retirement communities over the past five years with numerous new communities currently under development.